Whether you want delicate finish honing or aggressive surface removal we have specially formulated Extrude Hone Media for the job. 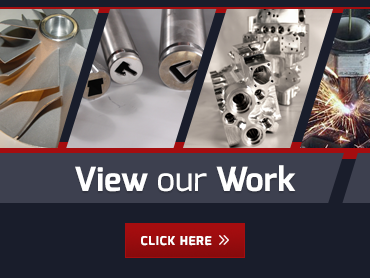 With the invention of the AFM process, Extrude Hone AFM developed an entirely new finish machining tool — a plastic, abrasive-laden polymer with very rheological properties that allow it to selectively and controllably abrade surfaces that it flows across. A broad family of these materials is available to achieve a wide range of results from fine ‘honing’ to aggressive surface removal. Our specially formulated media suspends the abrasive particles uniformly while allowing them to recirculate, thus always ensuring fresh abrasive at the surface. This provides a consistent and controllable cutting tool interface that generates uniform surfaces and edges of unsurpassed quality. Extrude Hone AFM has developed an amazing array of durable, hard-working media formulations that can produce high precision, highly productive results. Viscosities vary from ‘just below a brick’ to materials thin enough to flow at nearly the speed of sound through a tiny 0.5mm nozzle. Rheology profiles are just as diverse. Some materials are much thicker at rest than in use, and others are just the opposite. Abrasive grain sizes range from a fine powder-like 1000-grit to 8-grit. All of our EH media are remarkable in their ability to flow without clogging or separating and to not break down after continuous cycling and working. At Extrude Hone AFM, we keep thousands of pounds of media inventory on hand to eliminate any need to extend the lead time for our customers during media production. If you’re ready to see our EH media in action for yourself, please contact us at (562) 531-2976 to discuss your project and get a free quote.